Buying this session as a gift? Simply enter today's date in the 'session date' field, and in the comments field during checkout, enter the recipients name. We will then email you a PDF format "boarding pass" that you can print out and give as a gift! Choose your own experience, build scenarios, and expand your knowledge. You will be able to set your weather, build emergency situations, pick your airports and flight plan your way around the world! This package allows you the time to really get some in depth flight training in our simulator. You will even be able to do multiple takeoffs and landings. This flight is 3 hours. 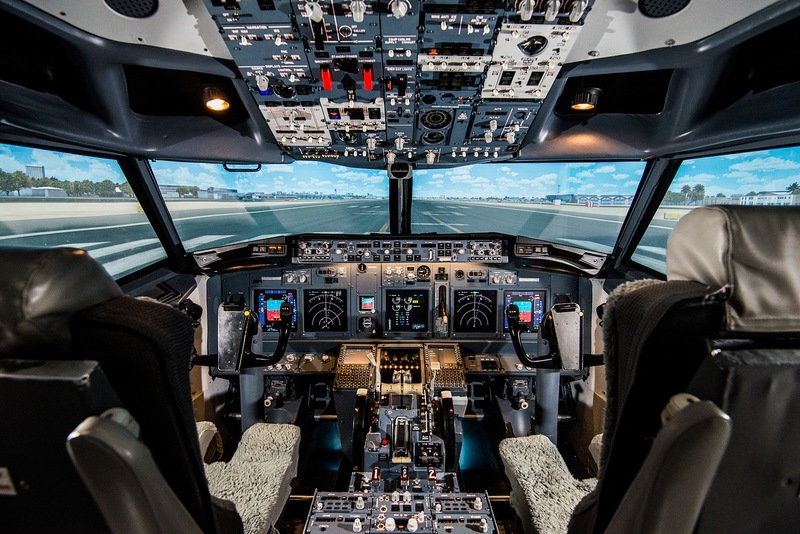 I tried out this 737 Next Gen simulator in June 2015 and had a great time. While it didn't move on hydraulics, the view out the windows was very convincing, the controls worked well, I got to do everything I had hoped I would be able to do, the staff was very helpful, accommodating, and customized the experience for me - in short I came away enthused and very satisfied. My adult son, who came with me, also loved it and couldn't wait to describe it to his friends. I would visit again, no questions asked.